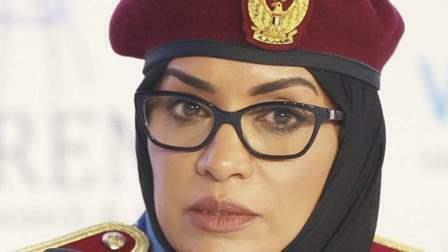 Homeland security and the military were once a male bastion, but more Emirati women are now joining the forces and climbing the ranks, which is an encouraging sign, according to officials. "When the UAE was formed, the late Sheikh Zayed bin Sultan Al Nahyan had a number of priorities, including achieving security and prosperity for all men and women," said Dr Zubaida Jassim Al Maazmi, assistant lecturer at the Abu Dhabi Police College. Col Afrah Al Saeed Al Falasi, commander of Khawla Bint Azwar Military School, the first women's military school, said she is proud to see women working in top positions. "If a woman can prove she is better in a certain position then she should have the position. It depends on her education and ability to deliver. If the person is motivated, she can occupy any rank, it's not about the gender. "In the beginning, we faced problems, including perception about women officers, but now things have changed. We are witnessing more families supporting their sons and daughters to join the armed forces," Al Falasi said. Top military officials said more women bring balance to the armed forces and make them effective.